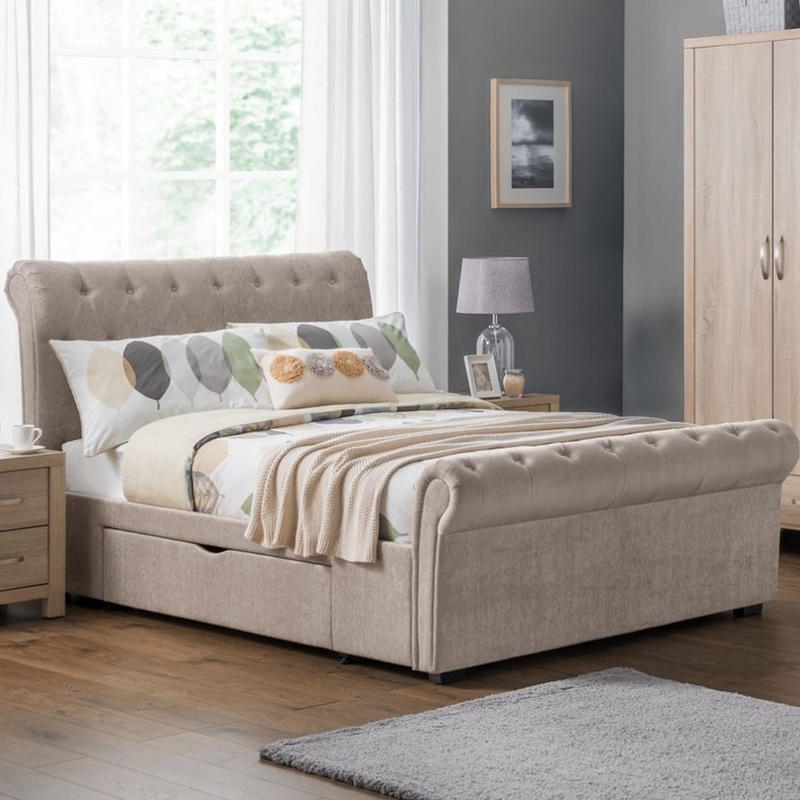 Make your home feel a lot more modern and furnished by introducing this beautiful Hamilton Storage Bed with 2 Drawers. This bed has a magnificent design that'll be certain to stand out and grab attention, whilst creating a warming and welcoming environment in any home. The mink chenille fabric enhances this product's charming style.